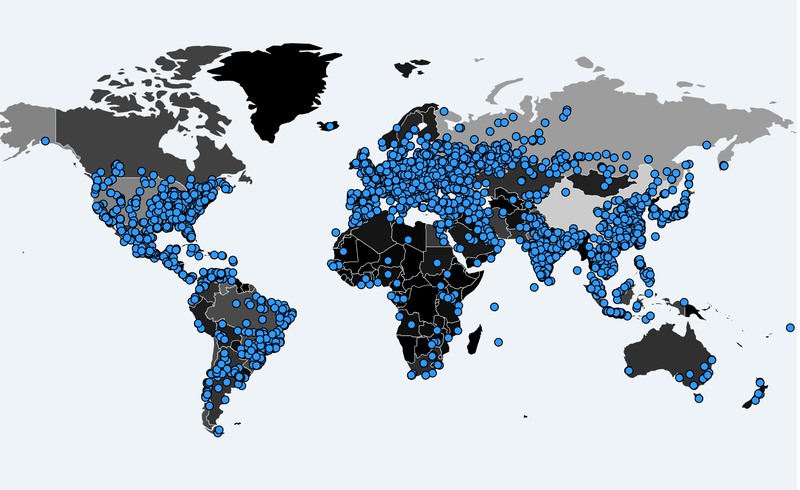 The ransomware that took half the wolrd by storm and surprise, crippled critical infrastucture around the world and still raging ahead : WannaCry. By now there are a lot of information available for it, a lot of things have been said about it, and a staggering amount of people have analyzed it. My endevours in this post will be to aggregate them, analyze some of them. Specificllay point out some of the things you, as a infected user can do to prevent further spread,and if you are already infected, a way to recover your files. If you are already infected with the ransomware, then your best bet is to try these tools. These are proven to work in Windows Xp - 7. You have to be running a x86 version of windows for these to work. They try to extract the prime number generated in the memorey and recreate the private key for decryption. So in short, run the tools ASAP and do not restart the machine. Courtesy: Kudos to the French security researchers Adrien Guinet and Benjamin Delpy (@gentilkiwi)for their fantastic work. Ransom: between $300 to $600. There is code to 'rm' (delete) files in the virus. Seems to reset if the virus crashes. Kill switch: If the website www.iuqerfsodp9ifjaposdfjhgosurijfaewrwergwea.com is up the virus exits instead of infecting the host. (source: malwarebytes). This domain has been sinkholed, stopping the spread of the worm. Will not work if proxied (source). update: A minor variant of the virus has been found, it looks to have had the killswitch hexedited out. Not done by recompile so probably not done by the original malware author. On the other hand that is the only change: the encryption keys are the same, the bitcoin addresses are the same. On the other hand it is corrupt so the ransomware aspect of it doesn't work - it only propagates. To be infected requires the SMB port (445) to be open, or the machine already infected with DOUBLEPULSAR (and killswitch not registered or somehow blocked, or the network accessing it through a proxy). The MS17-010 patch fixes the vulnerability. Windows XP: Doesn't spread. If run manually, can encrypt files. Windows 7,8,2008: can spread unpatched, can encrypt files. Windows 10: Doesn't spread. Even though Windows 10 does have the faulty SMB driver. Linux: Doesn't spread. If run manually with wine, can encrypt files. More at https://en.wikipedia.org/wiki/WannaCry_cyber_attack#List_of_affected_organizations they seem to be cataloguing the infections faster/better. Binary blob in PE crypted with pass '[email protected]', credits to ens! Each AES key is generated CryptGenRandom. The RSA public key used to encrypt the infection specific RSA private key is embedded inside the DLL and owned by the ransomware authors. the CryptImportKey() rsa key blob dumped from the DLL by blasty. https://pastebin.com/aaW2Rfb6 even more in depth RE information by cyg_x1!! 3 addresses hard coded into the malware.
" This folder protects against ransomware. Modifying it will reduce protection"
credit herulume, thanks for extracting this list from the binary. char     sig[WC_SIG_LEN]     // 64 bit signature WANACRY! credit for reversing this file format info: cyg_x11. The specific vulnerability that it uses to propagate is ETERNALBLUE. This was developed by "equation group" an exploit developer group associated with the NSA and leaked to the public by "the shadow brokers". Microsoft fixed this vulnerability March 14, 2017. They were not 0 days at the time of release.